WHOLESOME FARM WITH HOMEMADE FUDGE & A WHOLE LOT OF FUN. 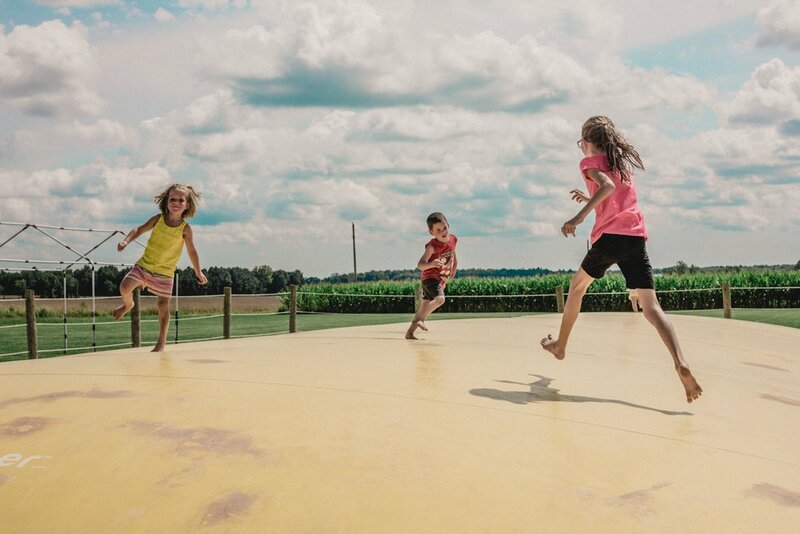 Hobson Family Farm is a pure, wholesome destination in the heart of the Midwest. Since 2004, Hobson Family Farm in Rockville, Indiana has been creating family fall traditions. From the corn maze to the pumpkin patch, hayrides and homemade fudge, we invite you to laugh, eat, and enjoy the moments cherished with family and friends at our farm. Corn Maze, Pumpkin Patch, Hayrides, 60 Foot Hill Slide, Giant Jumping Pillow and so much more. See Calendar on Visit Page.